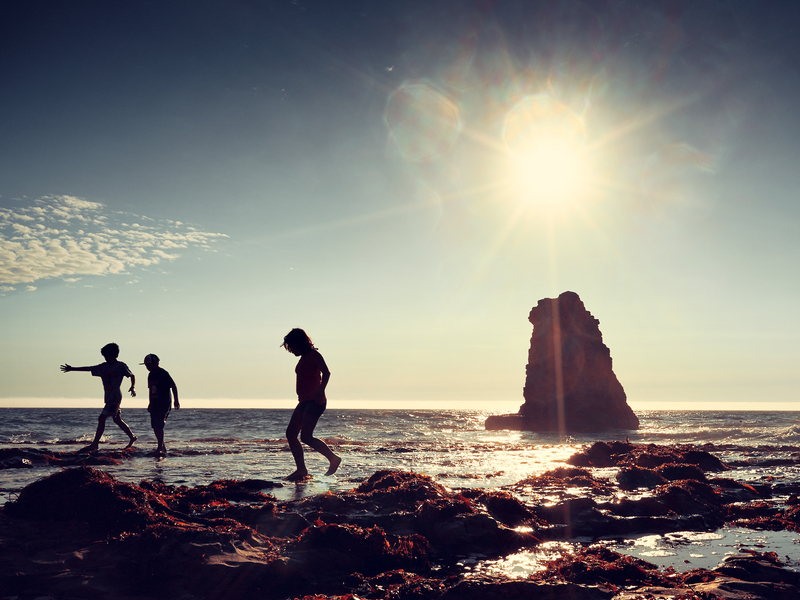 Children walk along the rocky sea shelf at Davenport beach in Davenport, California. The Fall season has finally arrived and the last traces of summer are finally fading away. I’ve always been interested in the “feeling” of seasons. The slowing of Fall, the exuberance of Spring, the hibernation of Winter… and how those feeling translate into photography. 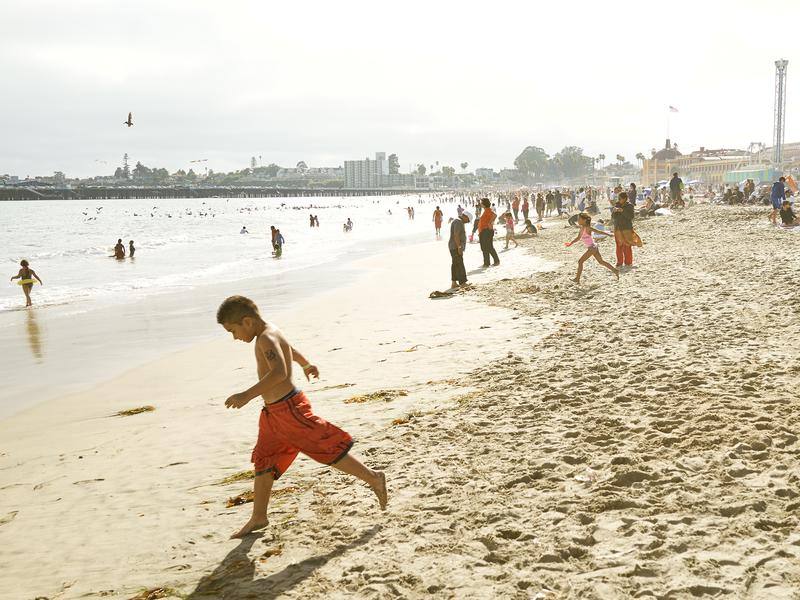 This year, I set out to capture the feeling of Summer and was drawn straight to the beaches of Santa Cruz where surfers ride waves from dawn to dusk and kids build sandcastles late into the evening. Usually, I try to plan my shots before I pick up the camera. However, for this project, I began with a vague idea of wanting to capture that “Endless” (or timeless) quality of Summer. I wanted the project to be organic, to see what would emerge week to week while shooting, with no idea of where the quest would take me. 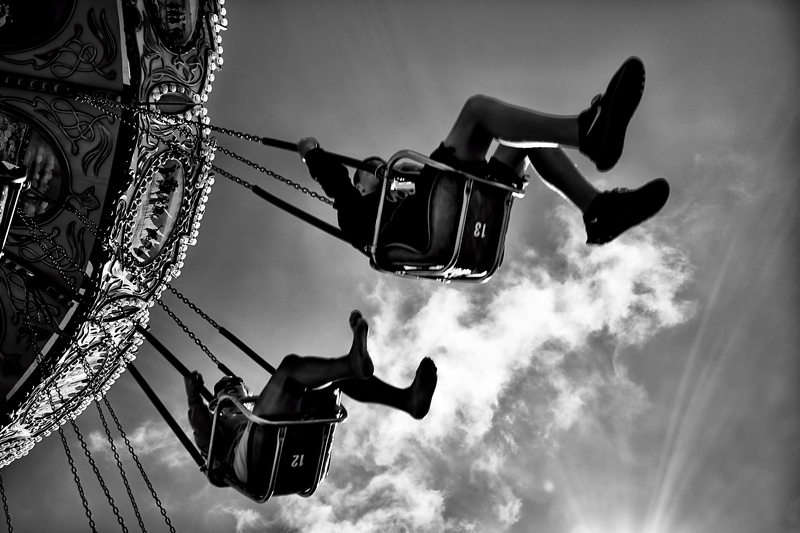 Children fly through the air on the seaswings at the Santa Cruz Beach Boardwalk. The more I shot, the more different manifestations of the “endless” quality of summertime revealed themselves. Sometimes I was drawn to moments that seemed to last forever, such as the anticipation of a young couple on a first date, or a teenager caught day dreaming while working the night shift on the boardwalk. Other times I found “endless” while exploring moments of tension, such as a volleyball player in midair spiking the ball, or children leaping into the ocean. The project wound up containing over twenty images. You can see the entire Endless Summer project by following the link below.